Matilda from David Schock on Vimeo. 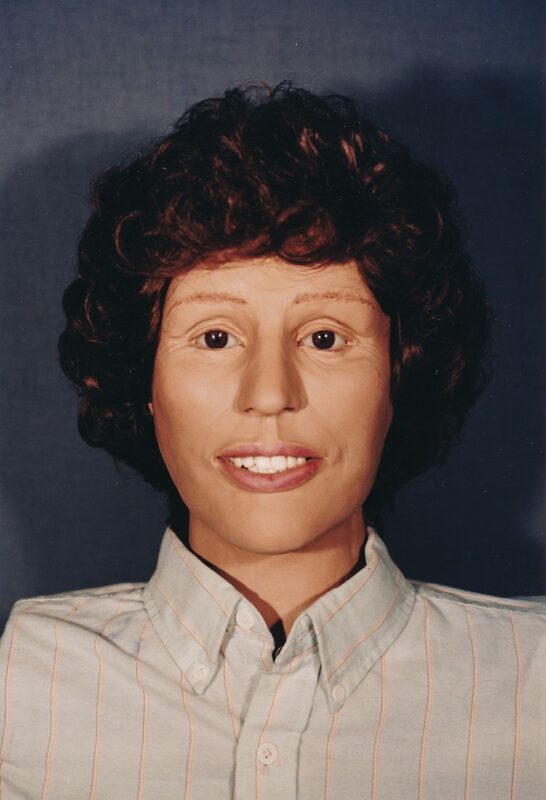 This jane doe is known by Ottawa County Sheriff Detectives as Matilda. Her skeletal remains were found covered with some small brush and logs by two rabbit hunters November 6, 1994, in Wright Township, Near Marne–on a two-track that led from the dead end of 32nd Avenue, just on the north side of I-96. According to information from the Ottawa county Sheriff’s Department at the time there wasn’t anything found with the remains to help identify the victim. The consultant forensic pathologist and anthropologist estimated the body was placed in the location where it was found some time from the middle of August to early September 1994. 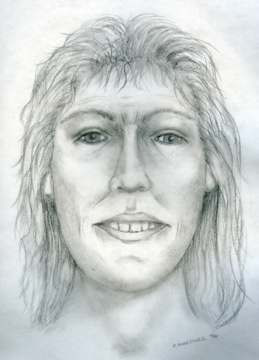 She may have been between 35 and 45 years old, white or Hispanic, between 5-foot-6¼ and 5-foot-9¼, and had auburn hair. She was missing 16 teeth. One remaining tooth had a filling. She may have limped or complained of knee pain; her left knee joint had severe osteoarthritis. Her DNA has been entered into CODIS and has not yet met a match. The Sheriff’s Office detectives have theorized that Matilda may have been one victim in a series of murders of prostitutes in the Grand Rapids area. Detective Steve McCarthy, who now handles the case, say he may be able to solve this case if he can learn Matilda’s true name. “Matilda” an otherwise unknown murder victim from an-on-skull reconstruction. “Matilda” from a sketch based on a front-on photo of her skull. Posted on Thursday, January 5th, 2017 at 2:42 pm. Last updated on Sunday, October 8th, 2017 at 11:39 am.